Attention Network Operators: Will You and Your Customers Still be Reachable on 12 October? The root zone of the Domain Name System was signed with the DNSSEC security extensions in 2010. The original key, KSK-2010, is still in use today. On 11 October, KSK-2010 will be retired and the new key, KSK-2017, will take over. It is expected that a small percentage of Internet users will experience problems in resolving some domain names. Within 48 hours after the rollover, some Internet users’ DNS queries will begin to fail, meaning that they will be unable to get online. DNS resolution – as their system keeps trying the resolver that is not prepared before switching to the resolver that is prepared – but the user will still get DNS resolution and might not even notice the slowdown. However, if none of the user’s resolvers are prepared for the rollover (such as if they are all managed by one organization and that organization has not made any of their resolvers ready), the user will start seeing failure sometime in the 48 hours after the rollover. Each validating resolver is configured with a set of trust anchors, which are copies of the keys or key identifiers that match the root KSK. Trust anchors are typically configured automatically by software vendors, or by the resolvers which are configured to automatically update the trust anchors using the process described in RFC 5011. It can also be done by the resolver operator, by manually adding a new KSK to the resolver’s trust anchor store. To ensure that users are not impacted by the rollover, it is important that all operators of validating resolvers have a look at whether they are properly prepared for the rollover by checking their current trust anchors. If you should find that you are not ready, you should update to the latest trust anchors now. However, if you operate resolvers that are not doing DNSSEC validation, then there’s no need to worry – you are already prepared for the rollover. Unless operators of resolvers are actively monitoring for significant errors, they will probably not know about the failing validation until automated systems that rely on the resolver start failing, or users start calling to complain about outages. But there’s more: If you are also only using resolvers with incorrect trust anchor configurations, you may yourself be unable to receive email messages. ID4me AISBL announces launch of their global and independent Single Sign-On (SSO) protocol. 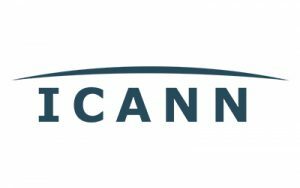 The 64th meeting of the Internet Corporation for Assigned Names and Numbers (ICANN) took place in Kobe from 11th to 14th of March 2019. ICANN64 was the Community Forum of 2019, with an attendance of 1,707 participants. With more than 1500 top-level internet domains: is your system Universal Acceptance-ready?